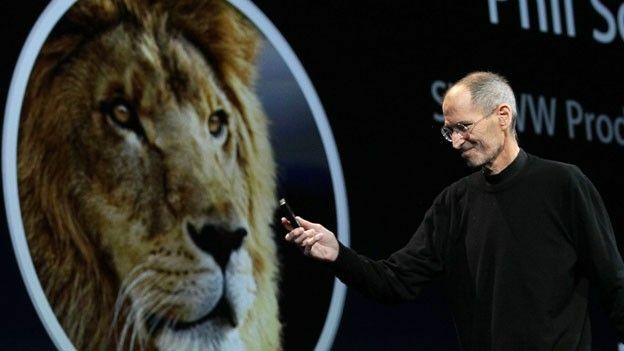 While we didn't get a look at the iPhone 5 as we expected at WWDC 2011, Apple did unveil its iCloud service and the new OS X Lion software update for Mac users, which has been made official today along with a new Apple MacBook Air, Mac Mini, and the world's first Thunderbolt display. OS X Lion promises to bring more than 250 new features, and we've covered off the five key additions that should enrich your Apple Mac life. See below for five OS X Lion features that you need to know about. One of the most noticeable changes in OS X Lion is Launchpad, the iOS style app-launcher. Placing your apps in a tile-style layout you can easily find your most used apps and then place them in folders just in the same way that you would on an iPhone or iPad. We're not sure whether it'll truly become an alternative to Finder but it's certainly a nifty feature to have. Probably the only story here that hasn't yet been confirmed, the news that Apple will be offering the iCloud storage service to OS X Lion users for free. While this probably won't extend to the degree that music-streaming will be free, it's almost certain that they'll be providing the cloud storage option as part of the OS X Lion package in an effort to sweeten the deal. Unfortunately this doesn't mean you'll be able to control and direct complex space missions from your Mac. Instead it's a merging of the Dashboard, Expose and Spaces, allowing you to effectively see literally everything that's open or available on your Mac in one place. It's certainly a neat idea and will no doubt encorporate the increased multi-touch features that have been touted as appearing in Lion. These two features have been grouped as they essentially will come hand-in-hand with the other. With full screen apps such a iBooks, multi-touch will then allow you to two-finger swipe through the pages. just like on the iPad or iPhone/iPod Touch. Multi-touch will also be playing a big role in OS X's bread and butter applications such as Mail, iCalender and Contacts, all receiving hefty overhauls and utilising the increased functionality of the trackpad. Have we left the best till last? We'll let you decide. AirDrop is a drag-and-drop file sharing feature that utilises a Macs Wi-Fi signal. By turning on your Wi-Fi you can swap over to AirDrop, find the Mac you're looking for and after confirmation literally drop the files over to the other computer. It's essentially a much speedier replacement for Bluetooth and it's a feature that we think will be a real game-changer when you need a quick alternative to file-sharing with no internet in sight. Mac OS 10.6.6 Snow Leopard users can upgrade to OS X Lion through the Mac App Store for £20.99. Alternatively you can by Lion on a USB thumb from the Apple Store which will cost you £55. This format will be available in August. The Mac OS X Lion server (which also requires OS X Lion) can be purchsed from the Mac App Store for £34.99. Will you be upgrading to OS X Lion? Answer our poll below to let us know, or let us know your thoughst via Twitter and Facebook. Will you upgrade to OS X Lion?